Full height curved ‘screens’ of black powder decorative fins with patterned translucent infills were employed to landscape the space. 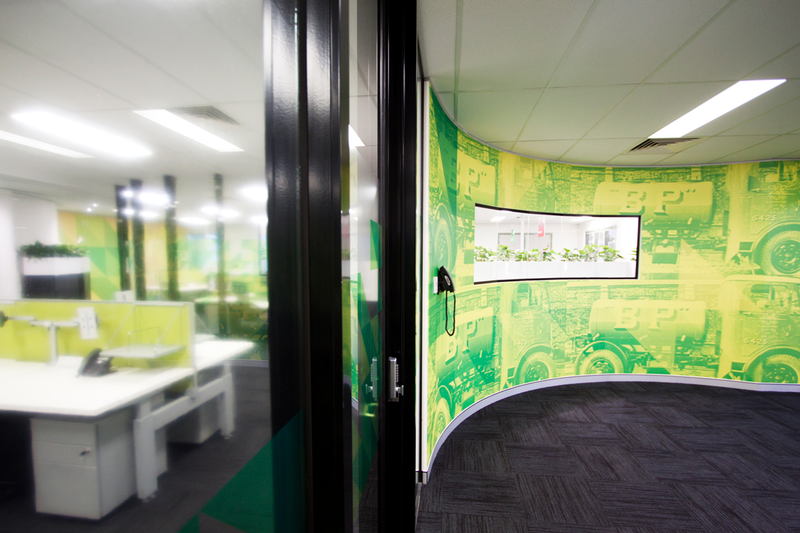 The Cairns office of BP Australia was required to relocate from the old fuel depot for safety and quality of workplace imperatives. A complete strip out of the new tenancy gave the opportunity for a ‘clean slate’ start to the design. 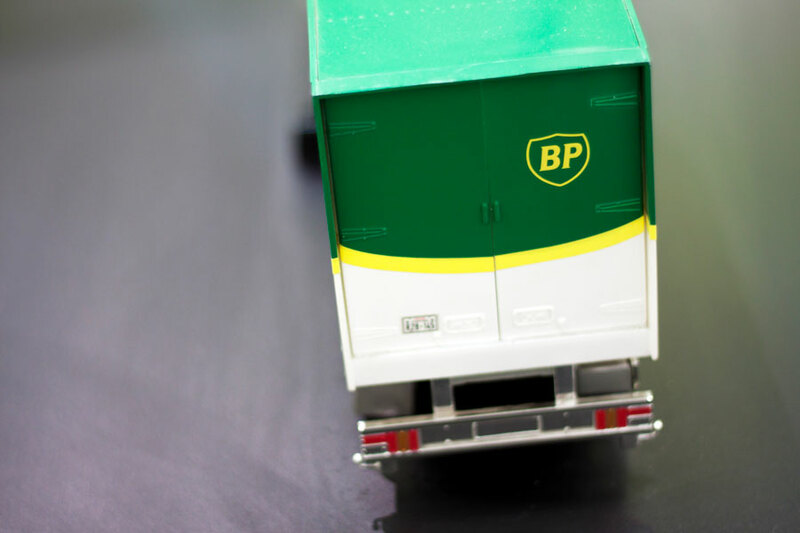 A graphic design scheme developed from BP’s corporate colours became the foundation for the overall interior scheme. 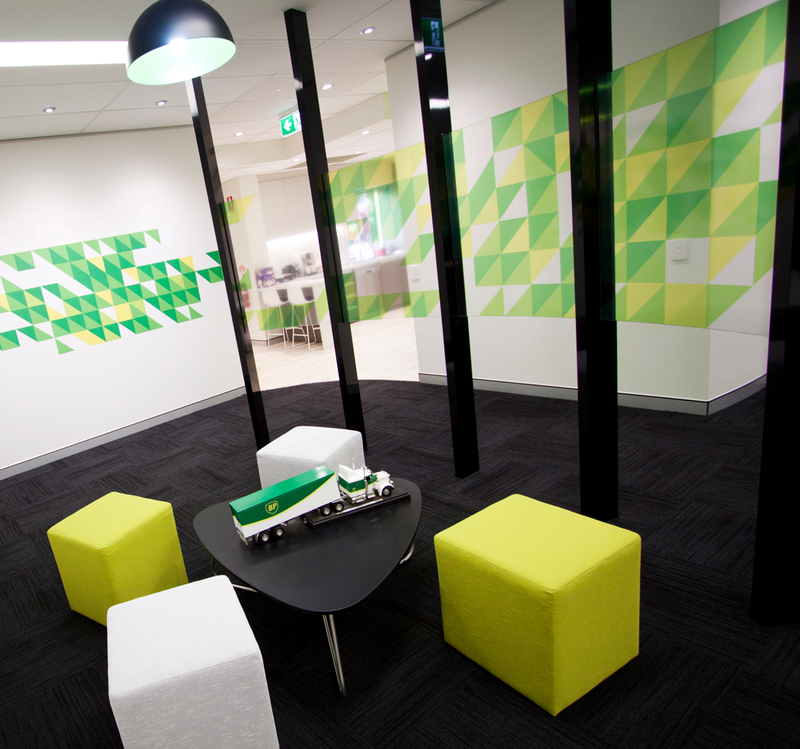 Overall the new work environment is refreshingly cheerful – a contrast to their former offices. Full height curved ‘screens’ of black powder decorative fins with patterned translucent infills were employed to landscape the space. The black framing creates a bold feature as a contrast to the white, green and yellow palette of the interior. 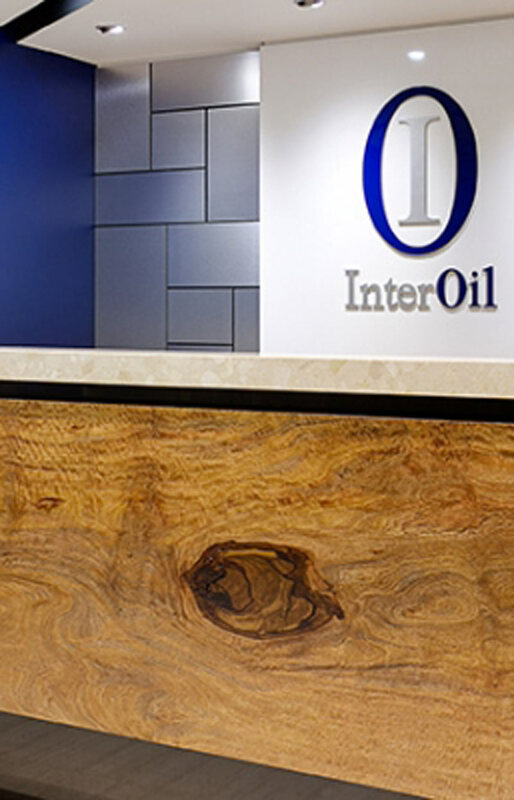 Specification of workstations, custom joinery detailing and project management were all within our scope. Our engagement commenced with an analysis of the company’s spatial requirements, leading to the development of schematic planning and a project budget. This informed the lease negotiations, to define the required footprint and scope of lessor’s works. 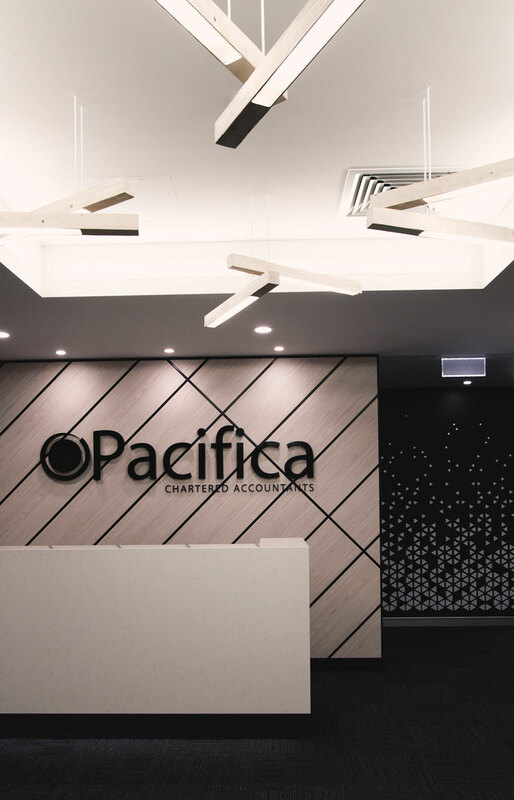 Relocation of a sizeable multinational company into Cairns CBD was a significant exercise. 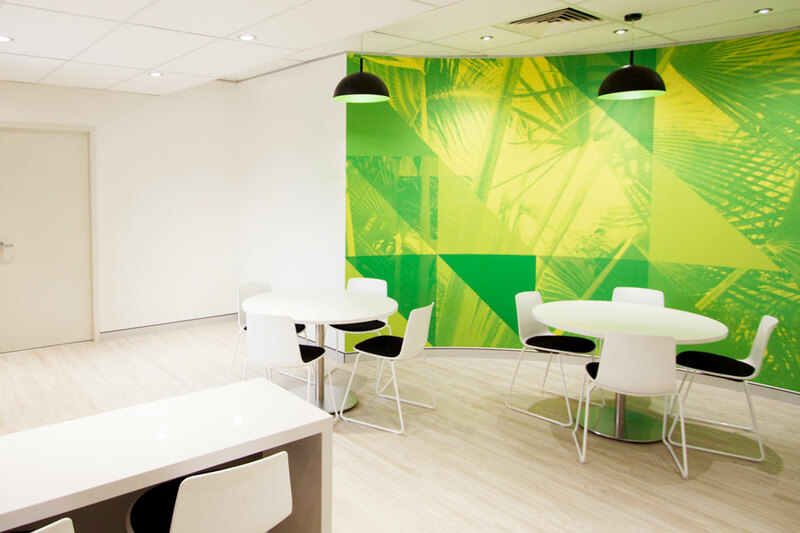 A fitout team worked seamlessly throughout the process to deliver an outstanding built outcome which delivered a flexible and productive workplace environment for the company and its people. 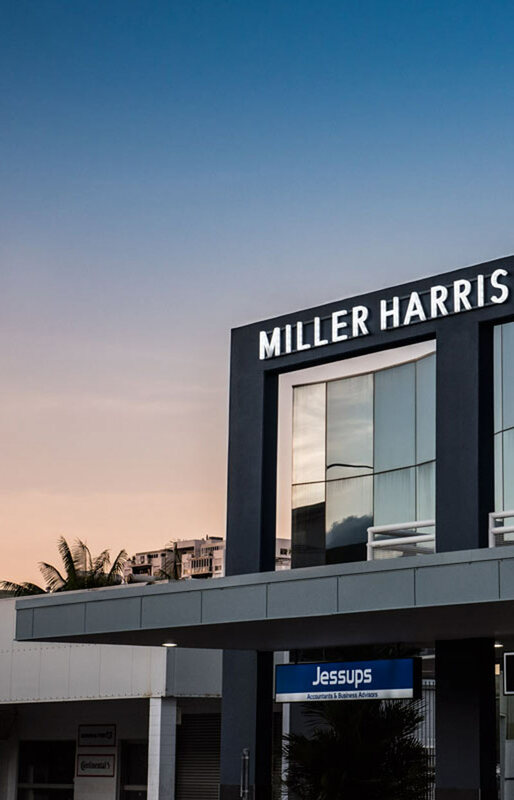 After 15 years in their former offices, it was time for Miller Harris to make a stronger statement to Cairns with their own building. 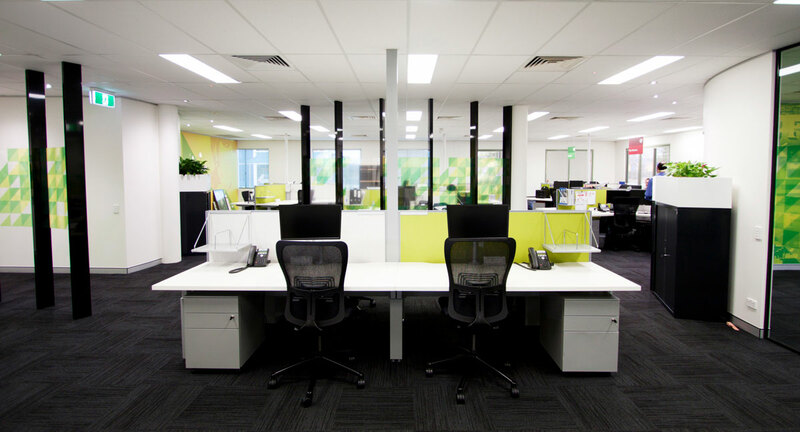 Perhaps more importantly, the move provided the chance to create an office environment without compromise on an open rectangular footprint.